The move, announced today (5 September 2018) as part of the Tenant Fees Bill, is a further measure to bring an end to costly fees imposed by a landlord or agent. Under the new default fee provision, a landlord or agent will only be able to recover reasonable incurred costs, and must provide evidence of these costs to the tenant before they can impose any charges. This will put a stop, for example, to tenants being charged hundreds of pounds for a damaged item that actually only costs a few pounds to replace – such as £60 to replace smoke alarms which the local council would have replaced for free. Other amendments to the Bill brought forward by the government include taking steps to ensure tenants get their money back quickly by reducing the timeframe that landlords and agents must pay back any fees that they have unlawfully charged. 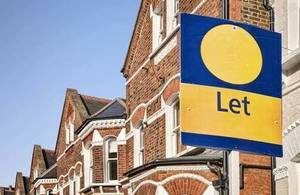 The Bill is expected to save tenants around £240 million a year, with the Bill also giving them assurance that the deposit they pay at the start of the tenancy cannot exceed 6 weeks’ rent. "Tenants across the country, whatever their income, should not be hit with unfair costs by agents or landlords. "This government is determined to make sure our housing market works and this new provision in the Tenant Fees Bill will make renting fairer and more transparent for all."